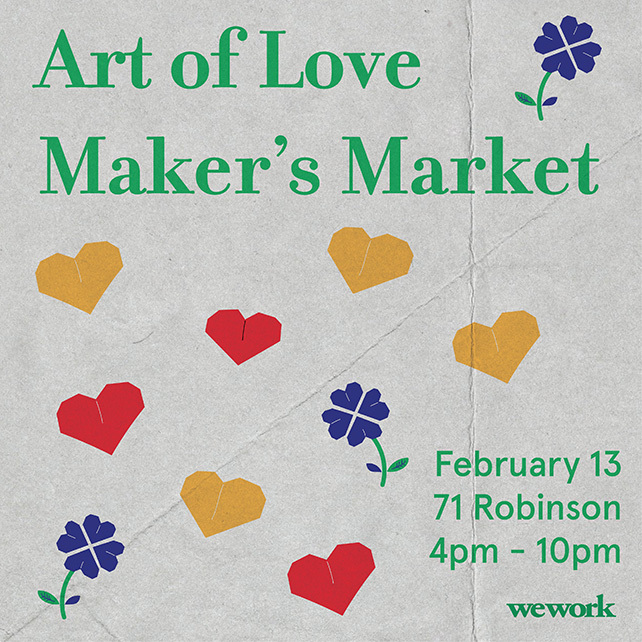 Soak in the art of love at WeWork’s Maker’s Market. Pick up uniquely crafted items from all participating makers. WeWork will be filling the halls of its common area with food, trinkets, accessories, and unique singapore-made items from the most innovative retailers. Also, setting the musical mood will be Christiane Mikaela, who will be laying down some smooth tunes for the evening, alongside the sound of typewriters from the Proletariat Poetry Factory.